Dark-haired Natalie Evans had come from her small hometown of Millen to work in Dallas’s St. Anne’s Hospital, hoping to be able to pay off the debt that she had accrued from her late mother’s illness. She also hoped to continue her romance with Nick Delaney, even though it would have to be via long distance. Two months passed and Natalie’s bills were under control, but one day she came home from the hospital and found a letter from Nick saying that he had fallen in love with someone else. For days Natalie went around in a shattered state — until the unexpected happened. Gus March, the top cancer surgeon, requested that Natalie be assigned to the special cancer wing and become a member of his surgical team. Natalie was thrilled, for the gray-eyed doctor hele the top place on her list of revered surgeons. And when he enlisted her aid in finding out who was responsible for the disappearance of drugs from his private inventory, she responded with more that just professional alacrity. But Natalie soon discovered that the pilferage of narcotics involved something much more serious — the attempted hijacking of Gus’s new SA-3 formula, a non-narcotic pain deterrent that might work on terminal patients. 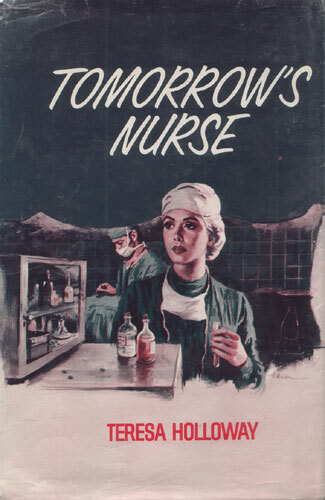 And Natalie, as a nurse who looked beyond tomorrow, realized that if the SA-3 were to be saved, both her life and that of Gus would be in danger.